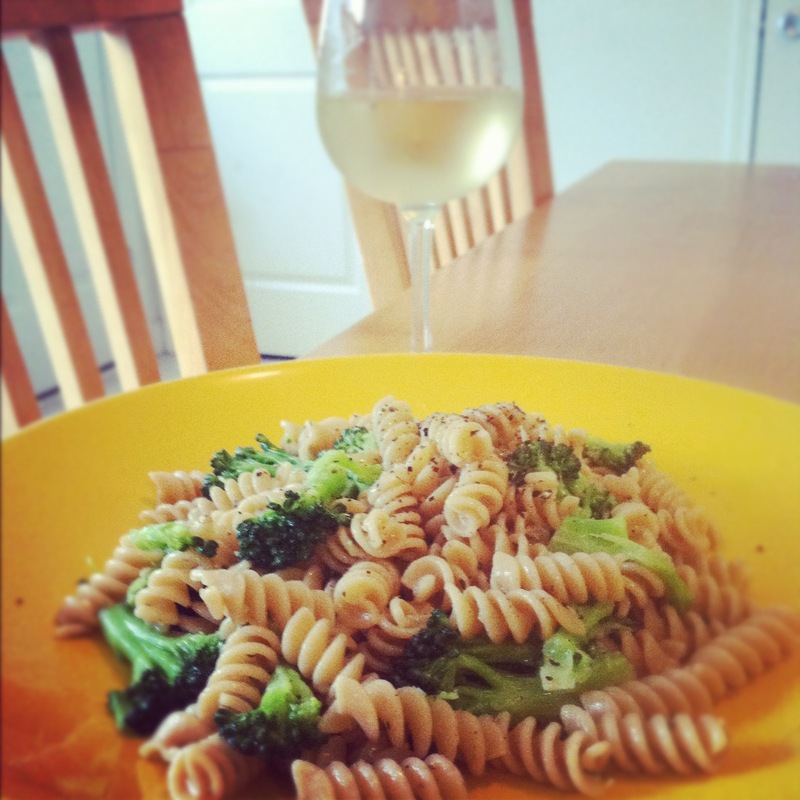 Garlic White Wine Sauce (Vegan meal and Vegetarian Versions)! I hope you had a wonderful Hump Day so far…Today inspired me to create a new recipe for both vegans or vegetarians and/or anyone who likes tasty good food! WINE. Wein. Vino. вино. 酒. نبيذ. vin. wino. vang. 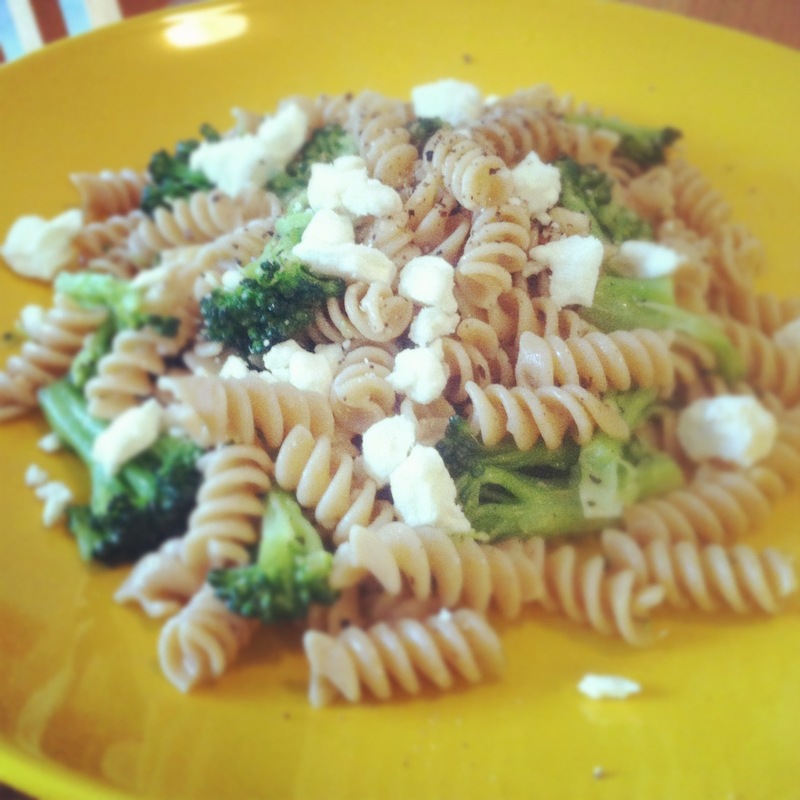 So tonight I decided to make whole wheat pasta with steamed broccoli and a garlic white wine sauce with pine nuts, the vegetarian version adds goat cheese! To begin, set up your pasta and boil it. Then start to make your sauce by getting a large sauté pan. MOST recipes say put in like a ridiculous amount of butter…. So here’s the plan. I turned the burner on med high heat to begin drizzled some olive oil into the pan (maybe 1 tsp) and added 1 tbsp Garlic. Coated the pan with the mixture, swirling it around. Using a whisk, whisk it all up together. 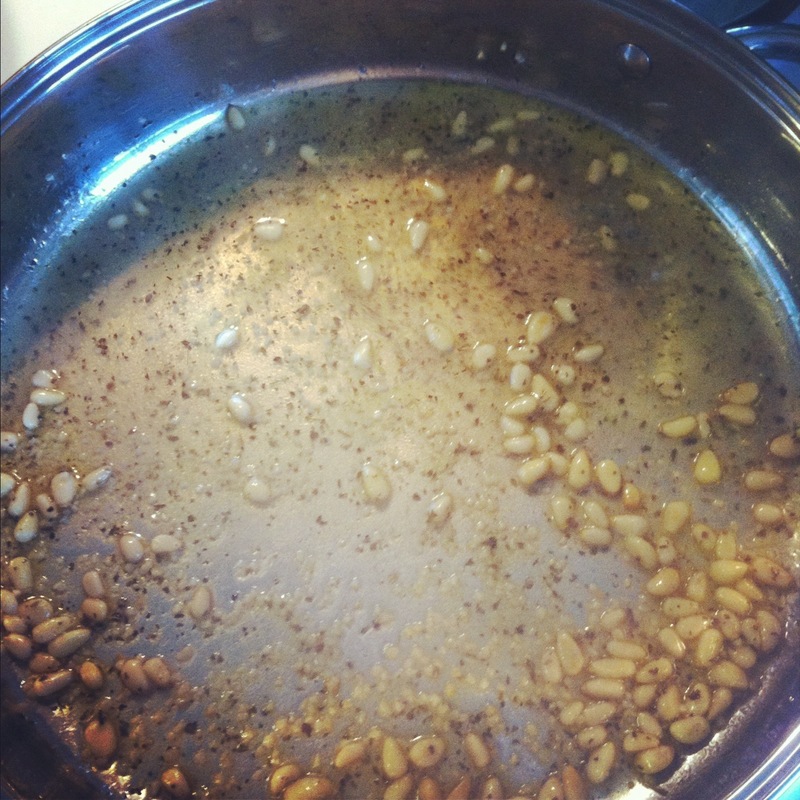 Start to add seasonings, I had the salt and pepper grinders and would add as I went so it infused with the flavors. As I whisked I added about 1/8 cup more of olive oil, give or take…you don’t want it to be too oily because that’s fats although healthy fats you want to be aware of the amount! Add more minced fresh garlic! I added a looottt because I love the flavors together. Up to you but I added about a tbsp more. As I was whisking I sprinkled in about a tsp of flour to thicken it a little bit, but remember this is an oil base dressing like sauce so it’s not going to be thick. 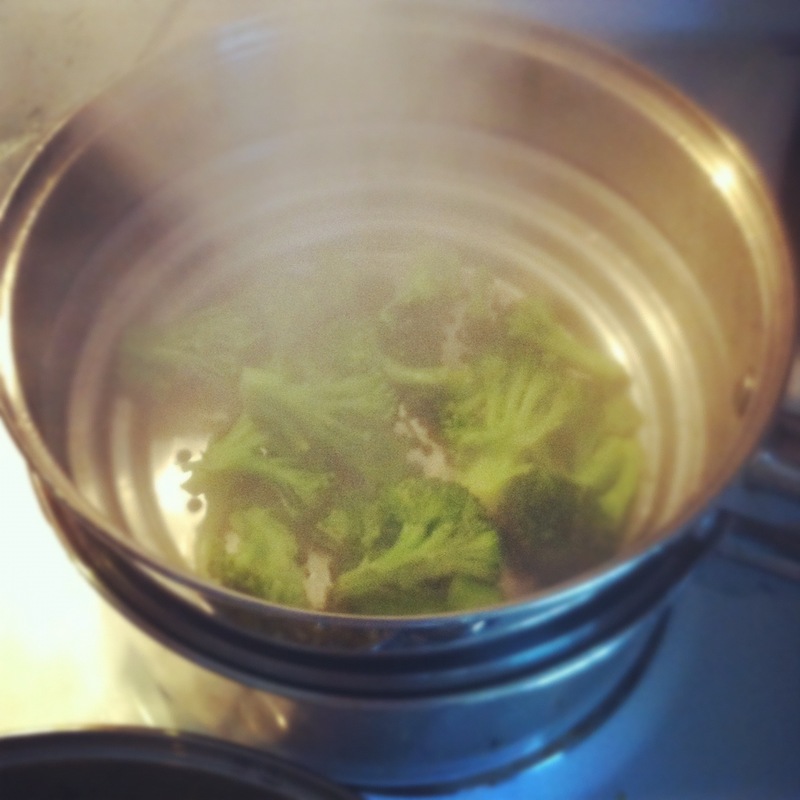 I kept the heat on low and added the broccoli to the mixture soaking up the flavors. 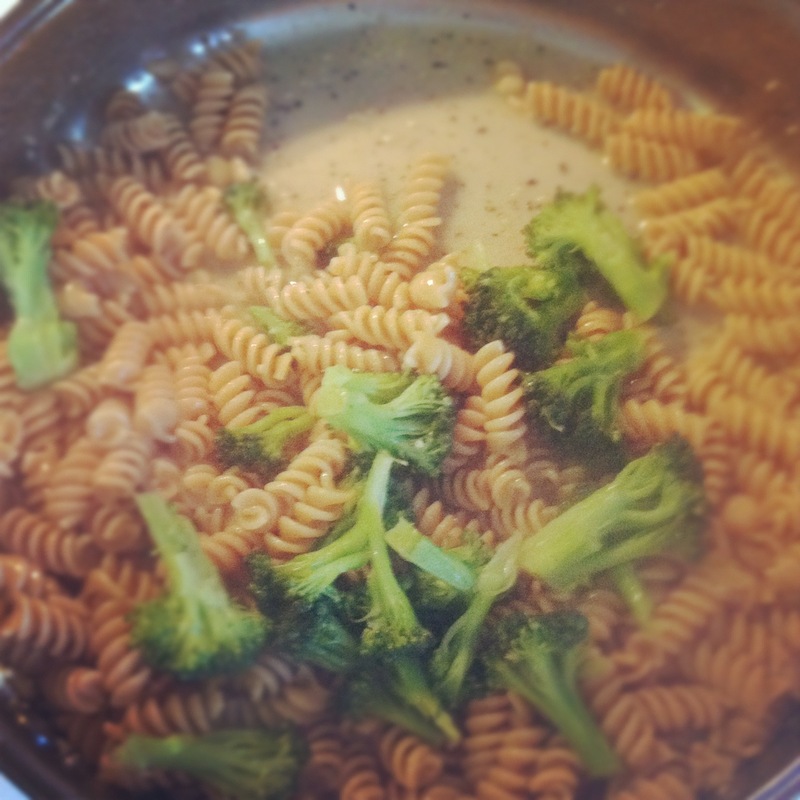 Once the pasta was cooked I added that too and swirled around. Put it on a plate, poured a glass of wine and added a little bit more ground pepper. I decided since I’ve been craving goat cheese lately (I know weird, esp with this vegan thing…) I would make an exception and add some to this dish. IT was sooo delicious. I planned on adding sundried tomatoes but realized I didn’t have any at home… 😦 but next time I would definitely add them or even roasted red peppers. This dish can be enjoyed hot or cold which is great to make the night before and have for lunch the next day #winning ! So I hope you can enjoy this dish someday, always feel free to make it yours with different ingredients–that’s what I love about cooking: it’s like art and you are the artiiist!